The air is charged with excitement once we make a major decision like where to live out our retirement years. Often I hear such statements as: We want to live near a big city for the conveniences but not the smog. We want moderate weather; we want to live among friendly people because we really want to like our neighbors; we also need to feel safe; we want it to be affordable and we need services that cater to our lifestyle, too. 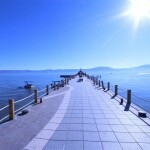 The Lake Chapala area fills all these needs, so that moving to Mexico is a very popular option. These are major considerations but, assuming the decision has finally been made and moving preparations are underway or at least in the planning stage and step one is to have a bank account in the US if you are or will be receiving Social Security. If you are Canadian, the same applies to CPP/QPP. You will need a minimum of two ATM cards, one to store in a file where it will be safe, and make a photocopy of both for the file. 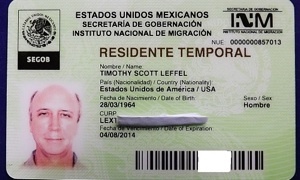 It takes time for replacement cards to arrive in Mexico from another country. Now that cash flow is assured, make certain you have your passport, driver’s license, car insurance if you’re bringing in a car, plus title on the vehicle, and please have it serviced for the trip. 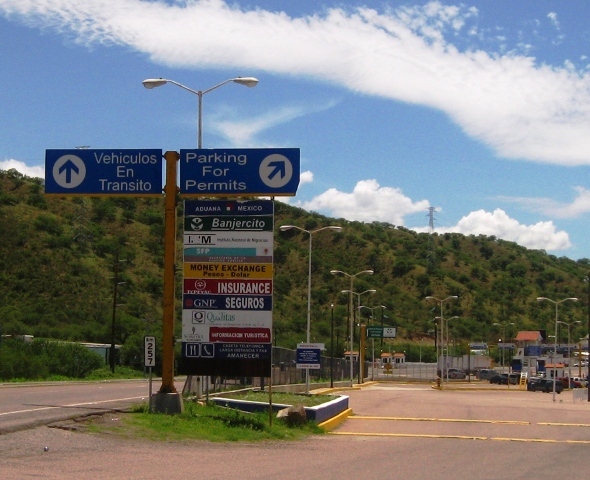 If you are flying in, you may choose to purchase a car in Mexico. If you have a pet, carry the inoculation record, and if possible, put the rabies inoculation on the animal’s collar. Make copies of those vital documents. Step two is to secure shipping for your goods. As soon as you know the cost, you’ll probably pare down what you have. Good idea. 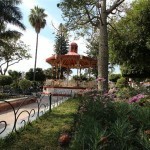 Outdoor living is a big part of life in Mexico. That calls for furniture that can withstand weather, at least on the covered patio. 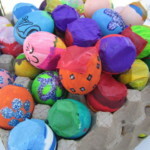 Fortunately, craftsmanship is a key part of the Mexican way of life. Sooner or later, you will most likely decide to make your furnishings more Mexican, so why ship what you’ve had for the past 40 years? You might want to pass on to your heirs whatever treasures you intend them to have eventually. Keep just a few of sentimental value. Now, paperwork. 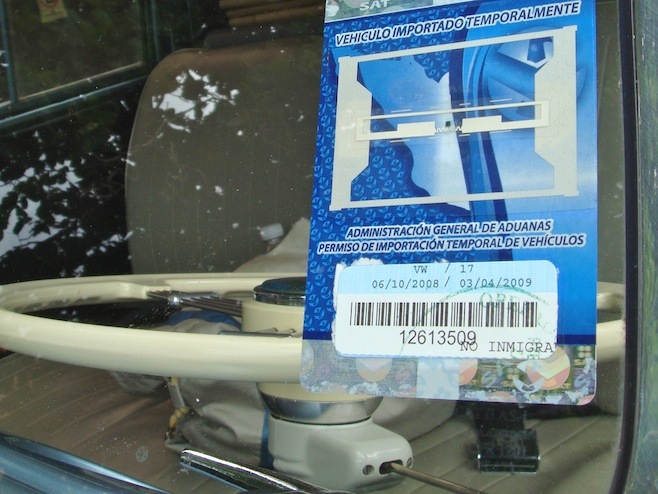 First is the inventory of possessions being shipped (in English and Spanish if possible). 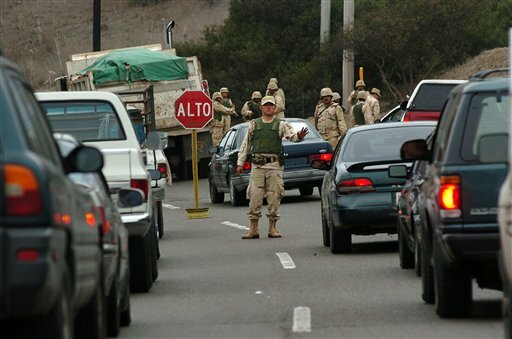 This is for the border crossing. One of the smartest things I did for the move to Mexico was to purchase clear plastic storage boxes. Each was marked 1-2-3, etc. and the corresponding list of contents was itemized by number, including a column for serial numbers or other identifying codes. Aduana (customs) looked at the list and at a few of the boxes; yes, just what the inventory said. Stamp, done. 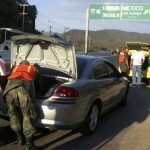 After that, the car had to be taken to the processing area where ownership and Mexican insurance were proven. Then a temporary visa was issued, and a holographic stamp was put on the car windshield, enabling us to head south to our new home. 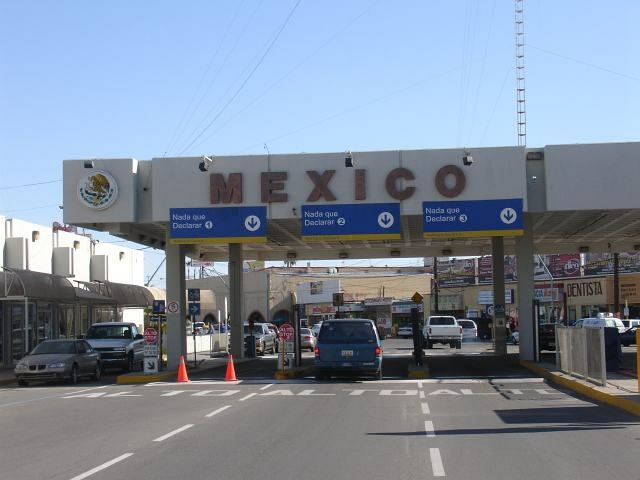 Recent changes have made it necessary to obtain your Visa Permanente or Visa Temporal visa after you have entered Mexico. 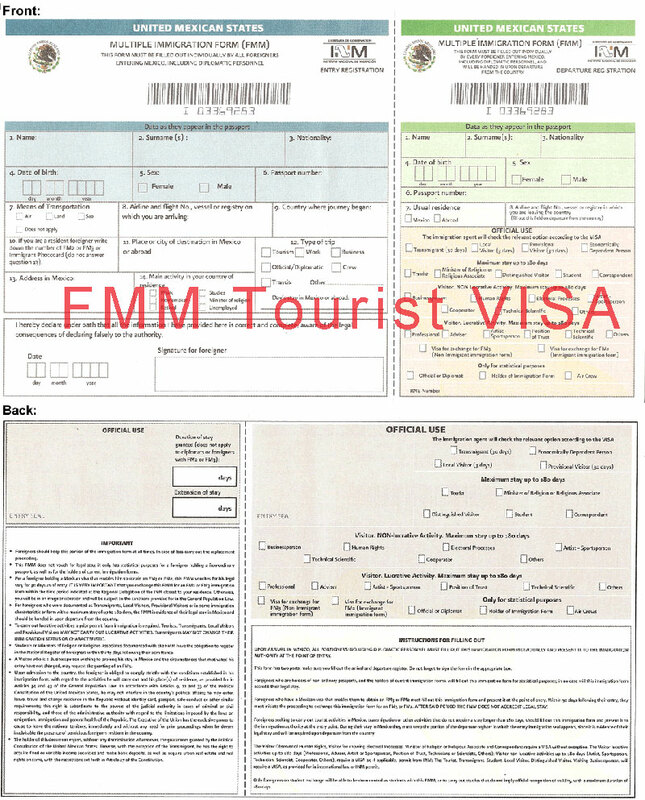 If you fly in, an FMM temporary visa is issued before landing. 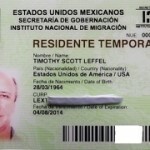 If you go to the Mexican Consulate near your American/Canadian home in hopes of getting a VISA before leaving your northern home, they give you a temporary document that has to be turned in within 30 days of your arrival within Mexico. 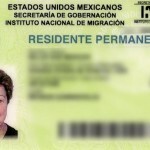 If you did not go through a Mexican Consulate, the FMM you acquire as you enter will be good up to 180 days. 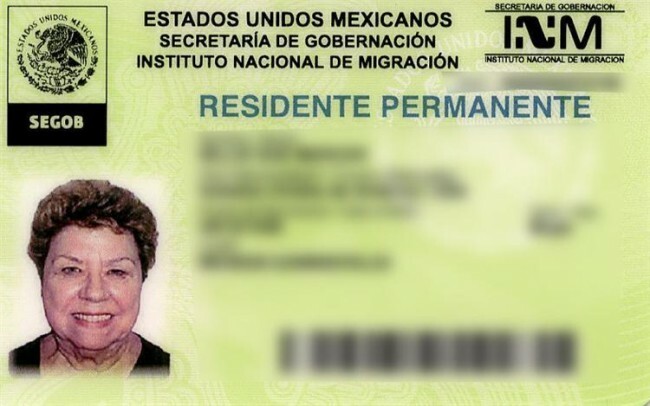 Start processing your Visa Permanente or Visa Temporal thirty days prior to expiration of the FMM out side of Mexico at any Mexican consulate. 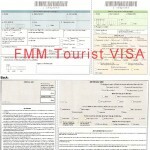 The new Visa Temporal is good for a year and can be carried easily in your wallet (after you make a file copy). 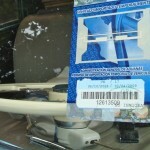 It looks like your state driver’s license, and like that document, the magnetic strip on the back contains everything they need to know about you in case of accident. You need to keep it up to date. 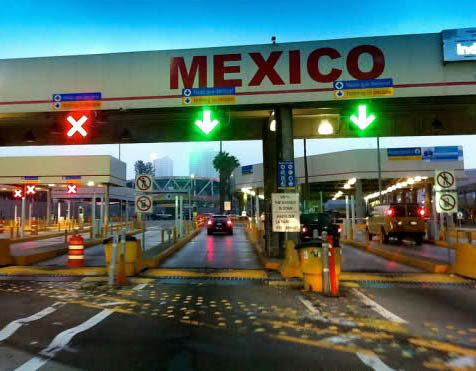 What the authorities want to know when you process through the border is who you are and how you will be able to support yourself while you are in Mexico. There is no social system to fall back on. 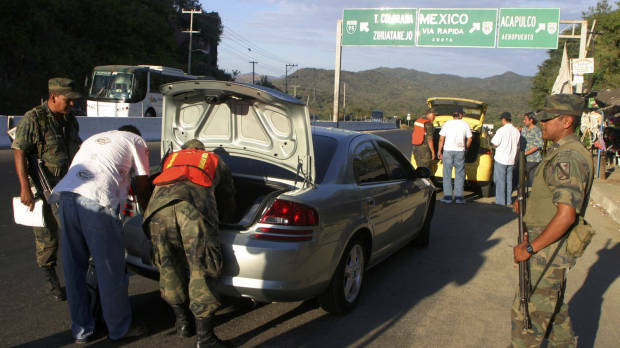 They also want to know that you are not bringing in things like guns, drugs, multiple cars or volumes of music or movies to copy and sell within Mexico. Mexican jails, I’ve been told, do not have the amenities of a Holiday Inn, so keep your nose clean and your defenses down. I had a senior personal de aduana (customs person) and he made it easy because he knew what was important. Was a retired couple likely to be doing anything illegal? No. We looked like his parents. Let him help you. 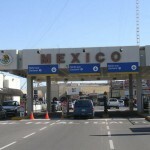 If you fly into Mexico, you will go through the aduana (customs) at the airport. There is a random selection for searching bags and a traffic light turns red about every ten people who pass through. If you are selected, you should pass through without too much difficulty since the airlines are so strict about luggage. Be cool. On the drive south, you will need to read road signs. Carry a small Spanish dictionary or electronic translator. After a while the signs will become familiar. This one says, “right lane.” Driving laws are similar to our own although speed limits are in kilometers per hour. Drive on the right. 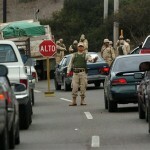 One of the scary things we encountered on the drive south was military men in uniform, carrying big guns. They waved us through with straight faces. 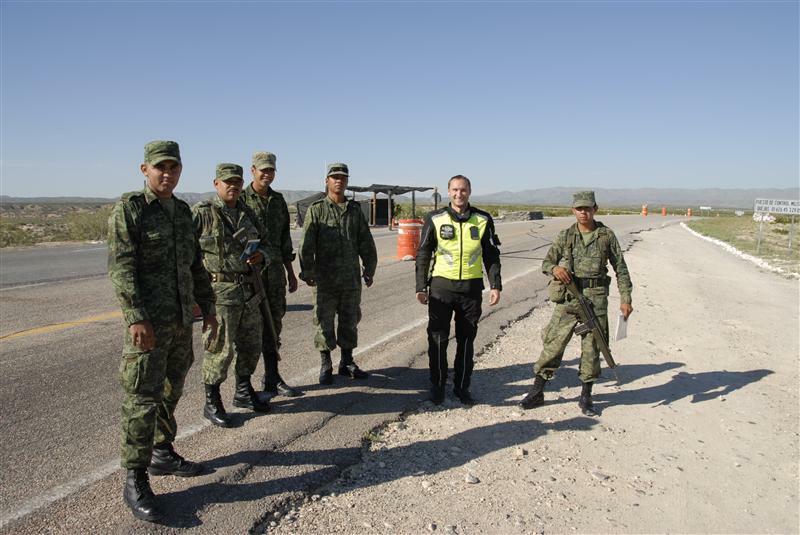 There are check points within a few miles inside the border for the protection of us all. Just be courteous. They have a job to do and they see a lot of people every day. Occasionally there are checkpoints around tropical areas to search for threatened species, like parrots or orchids. 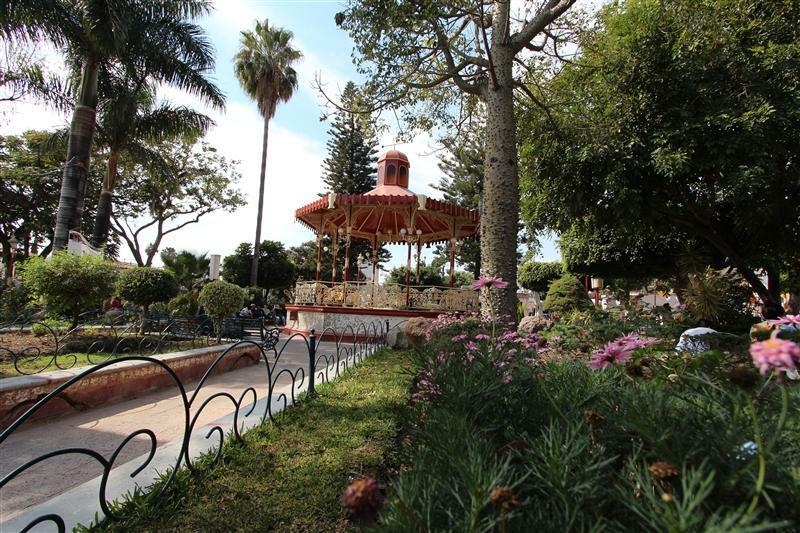 Mexico has a diverse variety of flora and fauna; too many are disappearing. 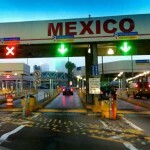 As you drive Mexico, enjoy the ride. Stop before dark in a qualified hotel or inn, if possible. In remote places you might encounter thieves after dark. Then again, you might get lucky and find yourself invited to someone’s home for the night, dinner included Mexican style. Just don’t risk your security in areas where people may be significantly less well off than you are. I found the country spectacularly beautiful, and I was very impressed with modern farming techniques on huge acreage while just nearby there were traditional farmers using donkeys and carts. We drove across mountains, passing remote villages as the road wound between them all, up and down and around some arid areas, rivers and waterfalls, fields of new growth and magnificent flowering trees and shrubs accompanied by birds of every color and song. I was in love with my new home long before I arrived. Wherever you go, you see signs in Spanish plus some strange names that don’t look Spanish at all. Those are Indian names. 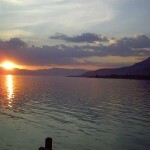 Around Lake Chapala we have such names as San Antonio Tlayacapán, Ajijic or Jocotepec. 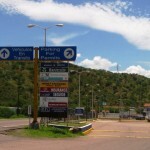 The “Tlayacapán” is Nahuatl, an Aztec language. Try to pronounce these. “T”+”L” is pronounced exactly as it appears. With a bit of practice, you’ll get it. As for Spanish signs and menus, carry a portable dictionary or electronic translator. At first you will stagger through with some awkwardness, but each day you will be learning and it will get easier. Not everyone is comfortable with life in Mexico. It is different. 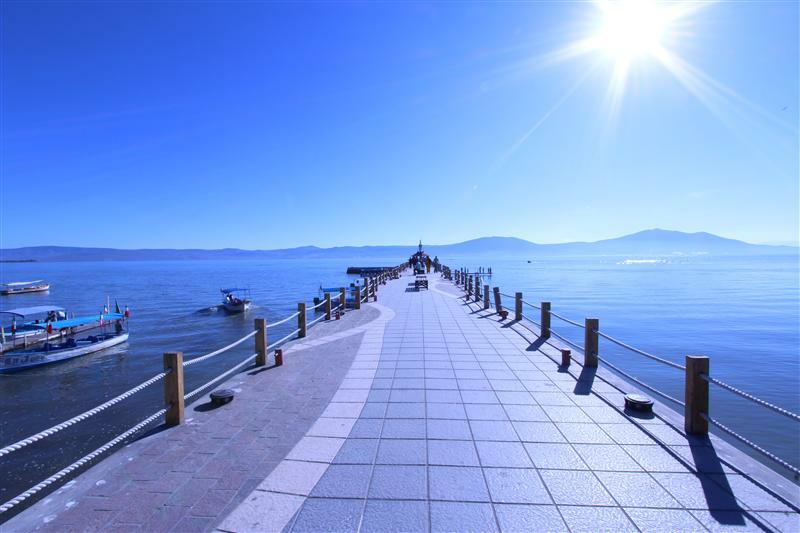 At Lake Chapala and in Guadalajara, we have all the comforts. 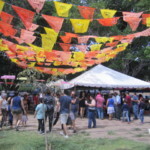 It will take a while to become accustomed to the cultural differences, but the Mexican way is a little slower and more courteous. One of the delights is little girls with tiny pony tails sticking out from their heads who toddle along in dresses that almost reach their ankles and they look like dolls. Their big brothers protect them proudly. 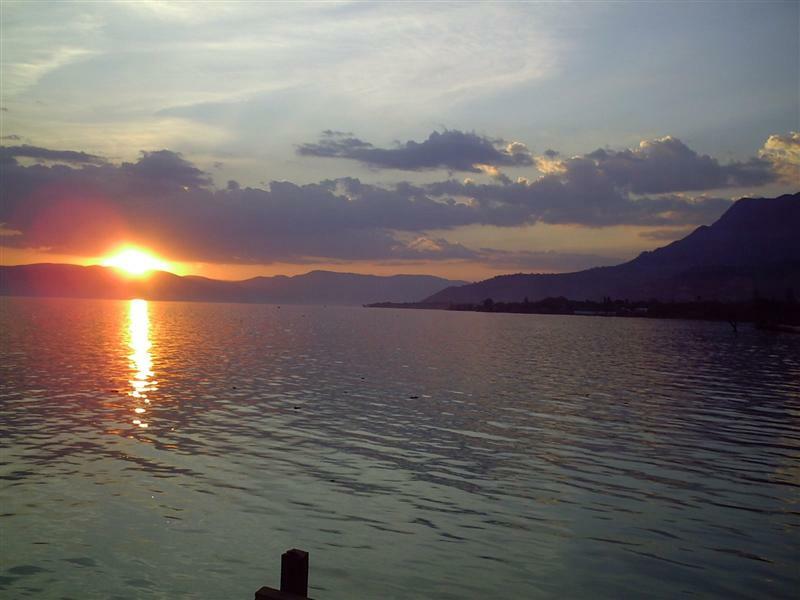 Sunsets over the lake make you exhale with relief that you are home at last while a small group of mariachis play some traditional love songs somewhere behind you.